Conch Pearls history, numerous designers used Conch Pearls. Although the spiral shell of the Queen Conch was used by some pre-Colombian cultures as a ceremonial music instrument, there are no historical records of the use of its pearls in jewelry before the mid-1800s. Edwardian designers of the late 19th century were quite aware of this. Also, Art Nouveau jewelers of the early 20th century incorporated them gracefully in their nature-inspired pieces. The queen Mary brooch is one of the most famous Conch pearl treasure, made for the Queen of England, representative of the Conch Pearls history. 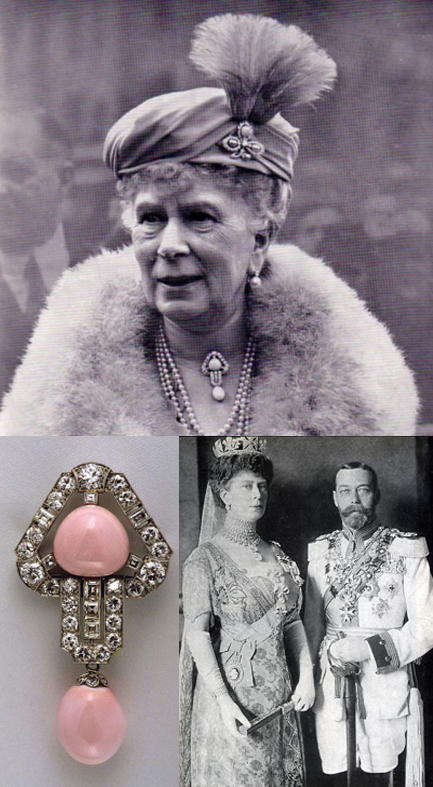 The Queen Mary Conch Pearl Brooch, c. 1901, was given to her by her husband, King George V, in the early century. It contains two Conch Pearls, the top pearl is 24.9 carats and the bottom 28.1 carats. Conch pearls were particularly popular in Europe during the early twentieth century. The brooch was probably designed by the Crown Jewelers of the time Garrard & Co. who were responsible for the design and execution of several fabulous pieces of crown jewelry at the time such as the Delhi Dunbar Parure and the Imperial Crown of India, the special crown created for King George V, for the occasion of his coronation as the King and Emperor of India on December 12, 1911. 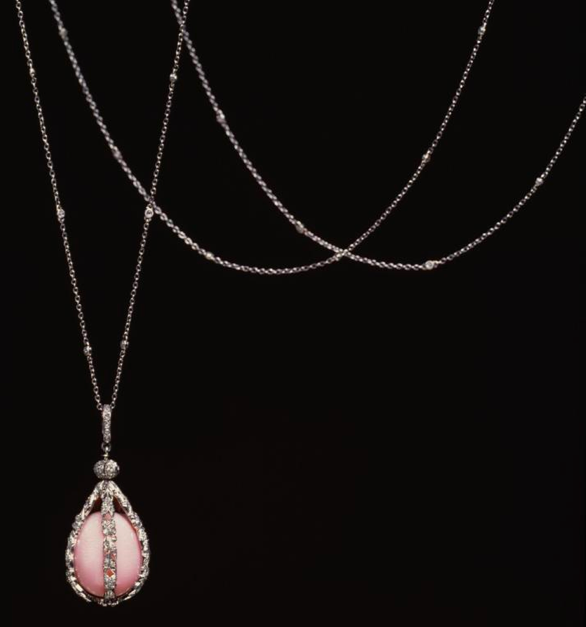 Another important member of the Conch Pearls history is Tiffany & Co, and his most famous designer Herman Marcus, used a lot of conch pearls in their creations, creating the famous “Sautoir with Pearl Pendant” in the 1900’s. Herman Marcus will then create his own company Marcus & Co who became the ambassador of this type of natural pearl. After World War I, the interest in conch pearls totally decreased and it was not until the 1980s that they regained the attention of designers. In 1987, Elizabeth Taylor endorsed Harry Winston’s jewelry by wearing a conch pearl necklace and earring suite. 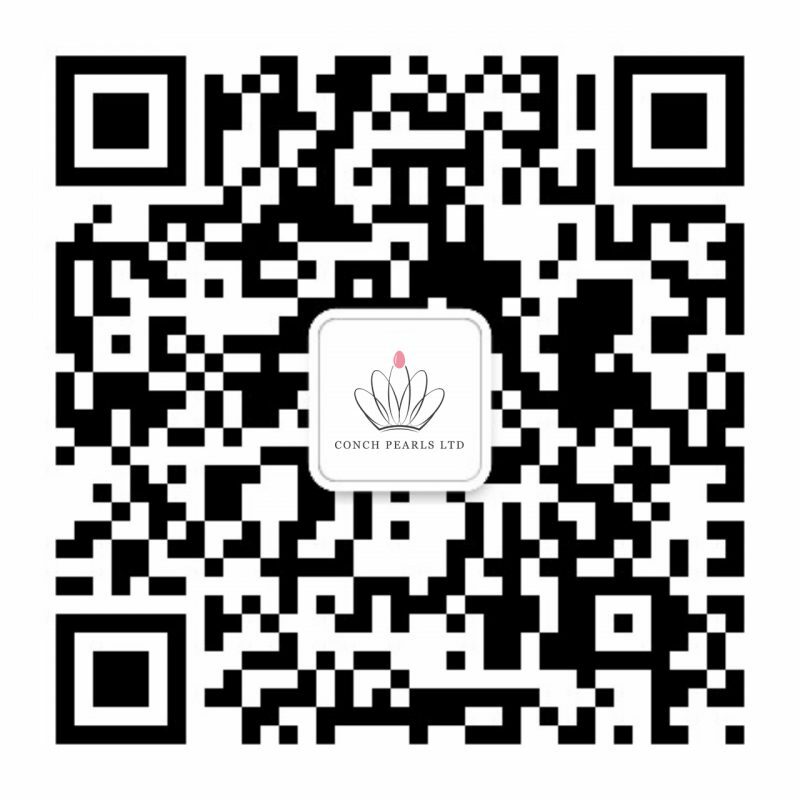 Following Mikimoto Pearls’ launching of a special line of conch pearl jewelry on a yearly basis for a full decade, the Japanese market is the first one with significant consumer awareness of conch pearls. From the 2000s, conch pearls become popular again, and famous jewelers such as Mikimoto, Tiffany & Co, Harry Winston, Boghossian. 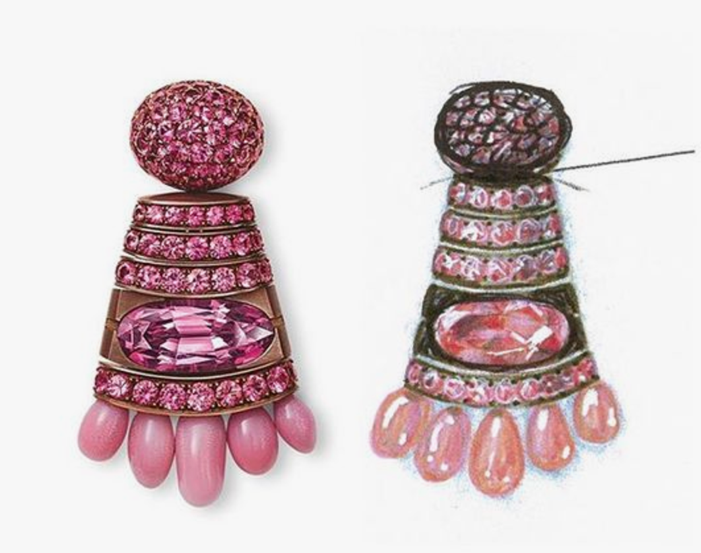 Chopard and Hemmerle produced gorgeous pieces of jewelry with those precious pearls. Nowadays, Brad Pitt has become a big fan of conch pearls.